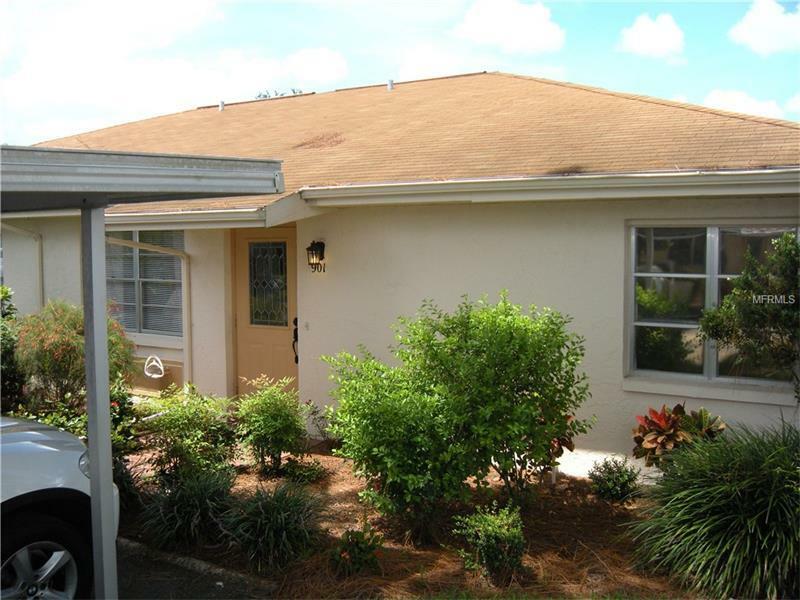 Lovely 2 bed 2 bath fully furnished condo sitting on a corner lot in a quaint little cul-de-sac. As you approach the home, you will notice the pretty partial leaded glass front door and brick walkway. Features include wood laminate flooring in dining area, great room and hallway, air conditioned Florida room, spacious bedrooms and a storage area off the Florida room that houses washer, dryer, water softener and your very own golf cart which conveys with the home. The kitchen has ample cabinet and counter space, newer fridge, oven/range and dishwasher, new plumbing and new electrical panel. Very convenient to both clubhouses and activities within Kings Point. Make this sun filtered cozy home yours today!